Searchers from Tuft University, located in Massachusetts from USA, have developed a prototype of smart bandage. The interest of this new technology is to take care of chronic skin wounds which are the main cause of non traumatic amputation in the world. Chronic skin wounds principally concern diabetics and burn victims ; millions of people are concerned all around the globe : it’s a major issue. 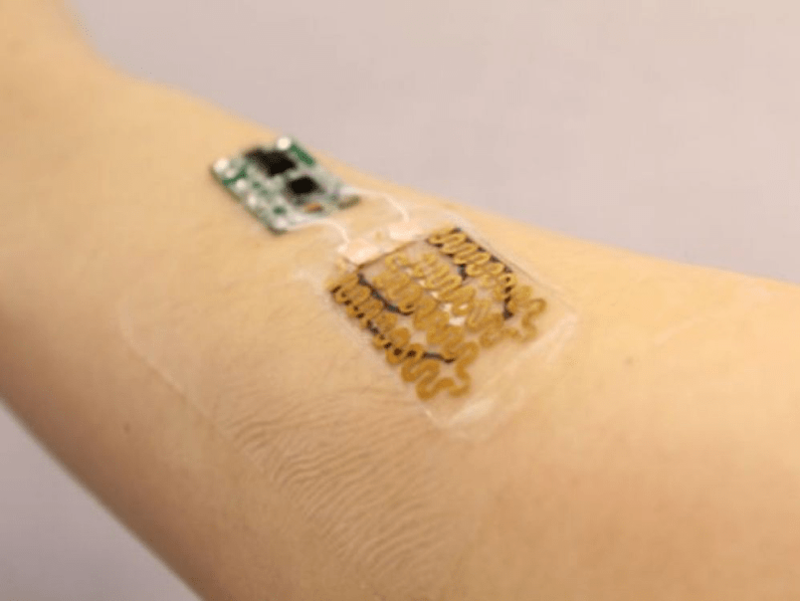 The objective of smart bandages is to administrate the good medicine at the right moment. Indeed, chronic skin wounds have a dynamic environment, so the smart bandage is here to watch the wound.The bandage contains pH sensors, because a healing wound has a pH between 5.5 and 6.5, whereas a non-healing infected wound has a pH more alkaline (above 7).There is also a thermometer, because the temperature is a good indicator of the level of inflammation in and around the wound and a microprocessor reads the data from the sensors and releases the drugs.